A Landmark Judgment was published on 30 July 2018 relating to provision of food and liquid to patients in a persistent vegetative state. The case was heard at the end of February 2018 in the Supreme Court. It related to an active man in his fifties called Mr Y by the Court who, in June 2017 had a heart attack. As a result he was left in a persistent vegetative state with Doctors advising there was no prospect of his condition improving. Mr Y’s wife and children felt that he would not wish to be kept alive in these circumstances when he was receiving nutrition and liquid through feeding tubes. His Doctor’s advised that if these were removed his death would follow within two to three weeks. An application was made to the Court of Protection for permission to withdraw food and drink. Mr Y passed away before the Court proceedings were concluded but the case continued as the Court felt the issue was of much wider public importance. The Judges in the Supreme Court thoroughly examined the law about withdrawal of medical treatment and decided that nothing under the current UK law or European Regulations means that Court authority is required. Applying to the Court of Protection has historically been costly and time consuming and this can also leave to prolonged suffering for a patient. The decision has now been left to the patient’s doctors and family. However, are these people best placed to decide what the patient may have wanted? One of the difficulties in Mr Y’s case and so many others in similar circumstances was that he had left no instructions or indication of his own views. That situation is avoided by setting up an Advance Decision also known as a Living Will. This is a legal document directing medical treatment and other care. It can be very detailed but at its most basic includes directions regarding resuscitation and life sustaining treatment. By Siân Thompson – Solicitor in our Llandudno Office who specialises in matters of Probate Law such as Wills, Trusts & Estates. 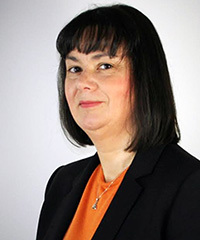 She is a court-appointed Deputy for clients under the Court of Protection and also acts as a professional trustee and attorney, as well as being STEP qualified and a full member of Solicitors for the Elderly. Advanced Decision- (Formerly Living Will) What Is It And How Does It Apply?